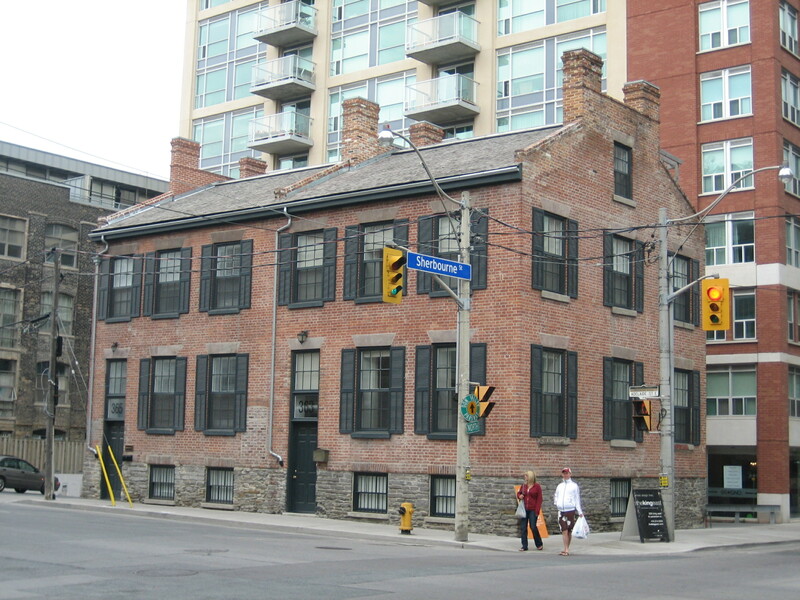 400 Adelaide Street East is located in beautiful Old Town, Toronto. This historically rich area is home to gorgeous 18th-century buildings, famous landmarks, and cultural icons, such as Toronto’s first post office. 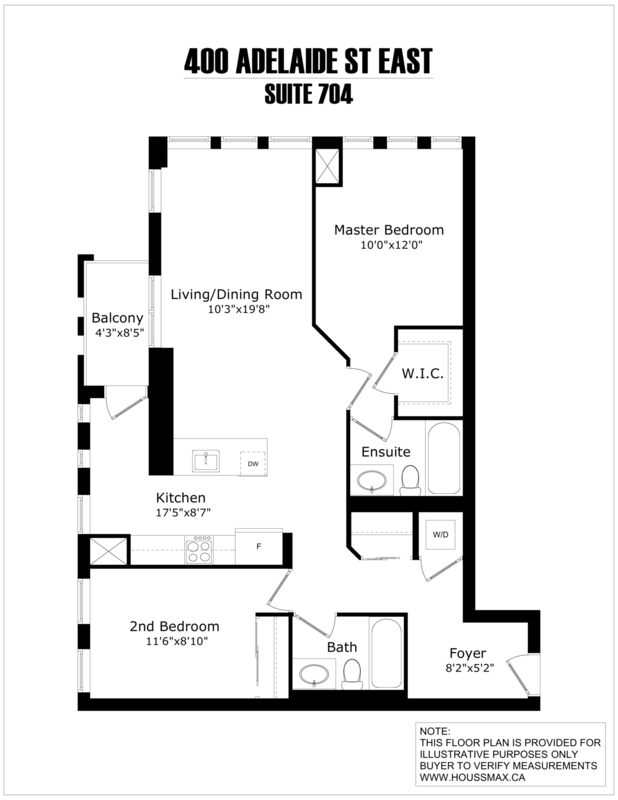 The split-layout unit comes with 2 bedrooms, 2 baths, and an open balcony. 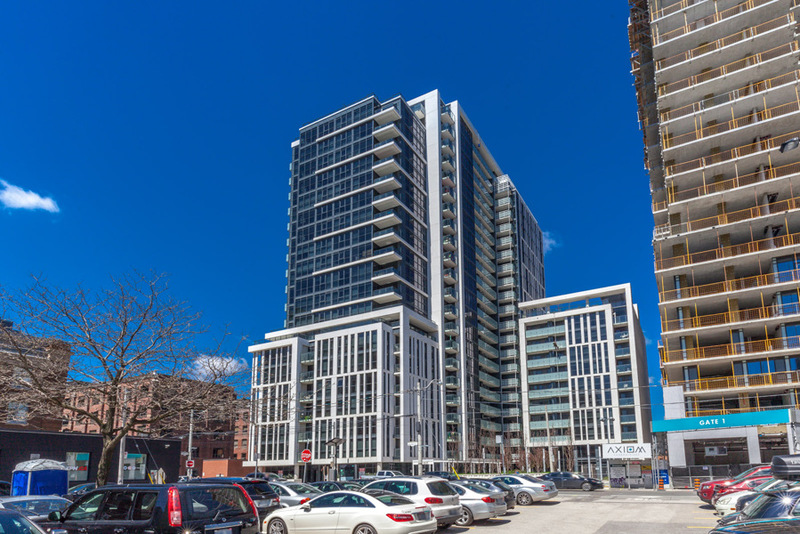 Although the condo is part of Old Town Toronto, 400 Adelaide Street is completely modern since it was built just 2 years ago. 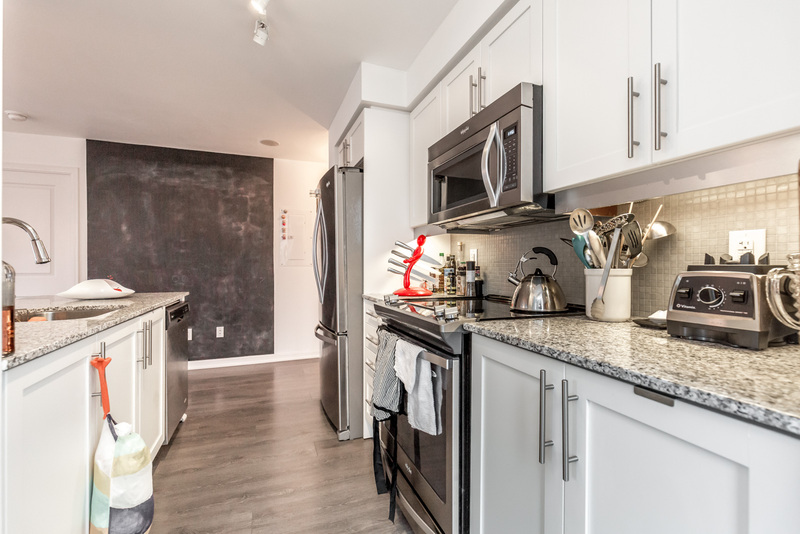 At 900 square feet, 400 Adelaide Street has more than enough room for couples, individuals, or families. And since it’s fully-furnished, residents can move in right away! 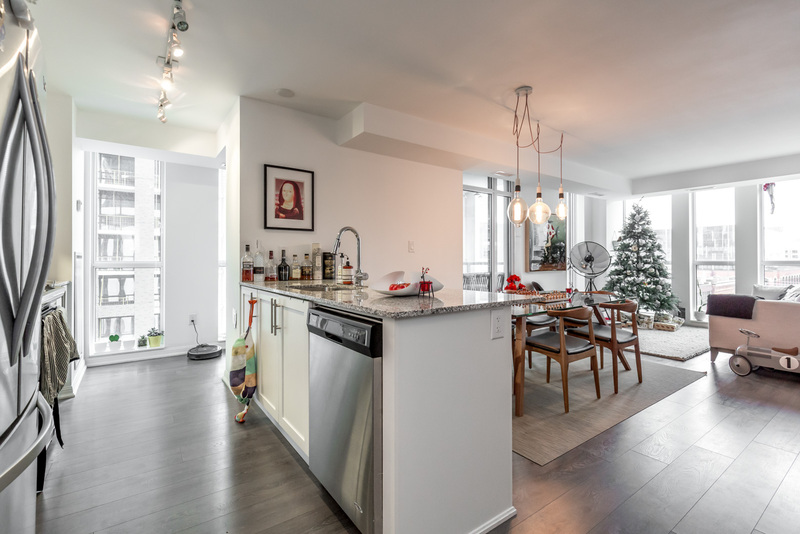 Another highlight is its open-concept design: the living room, dining room, and kitchen are all connected, creating a greater sense of flow and space. The floors are a mix of laminate and hardwood, giving the unit a modern yet elegant look. 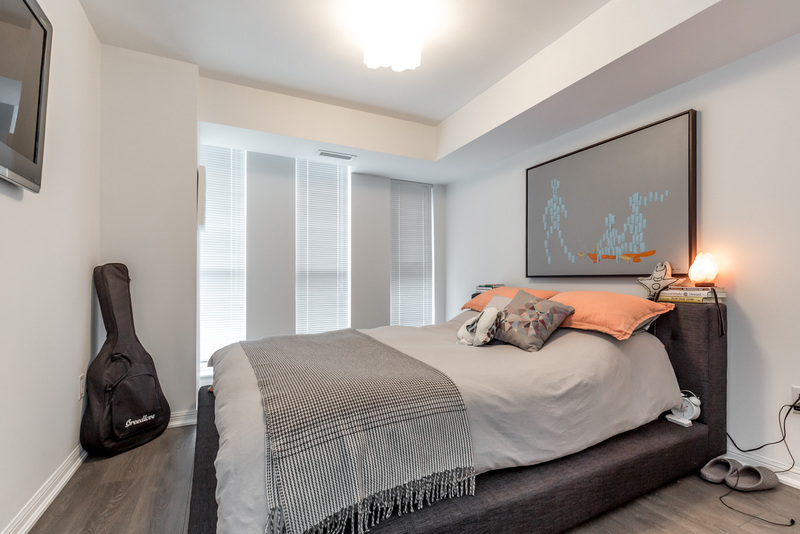 The master bedroom features a walk-in closet, while both bedrooms come pre-furnished with a queen-sized bed in the former and a double bed in the latter. 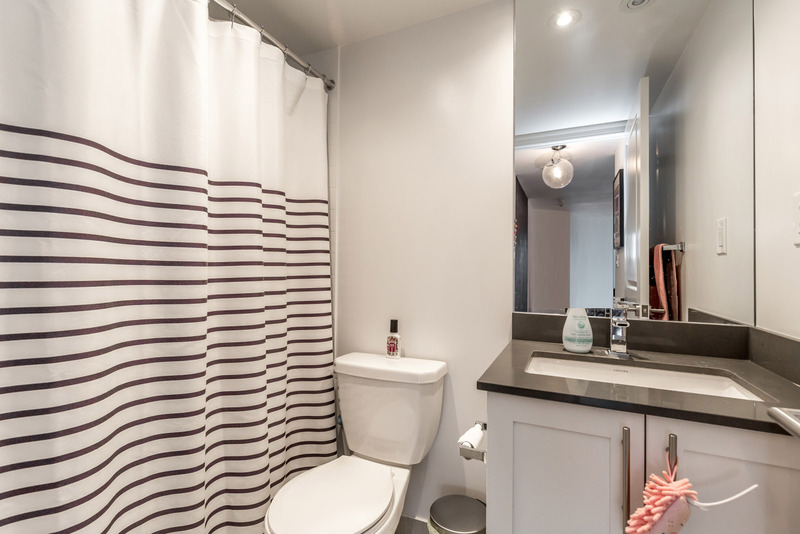 In addition to a tub and shower, 400 Adelaide’s bathrooms are very modern by design, with neutral colors and sharp geometric lines. 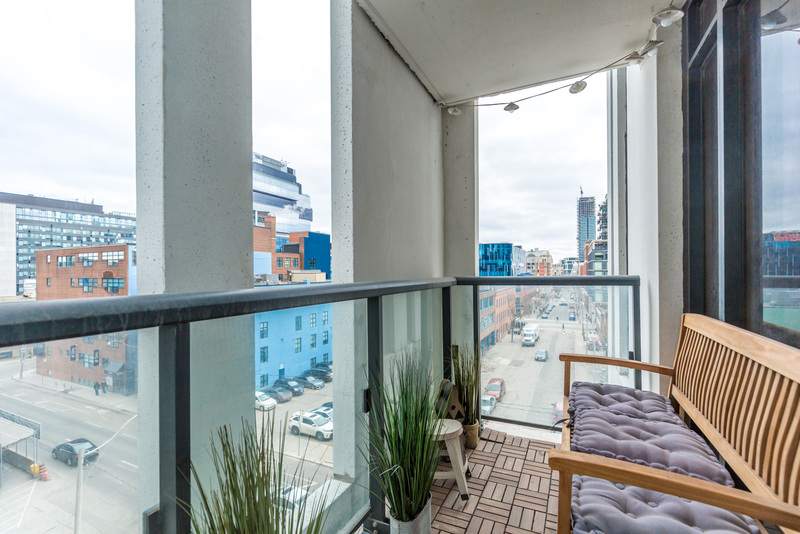 Finally, the balcony gives residents a stunning view of Sherbourne and Adelaide, which they can take in from the comfort of a bench. 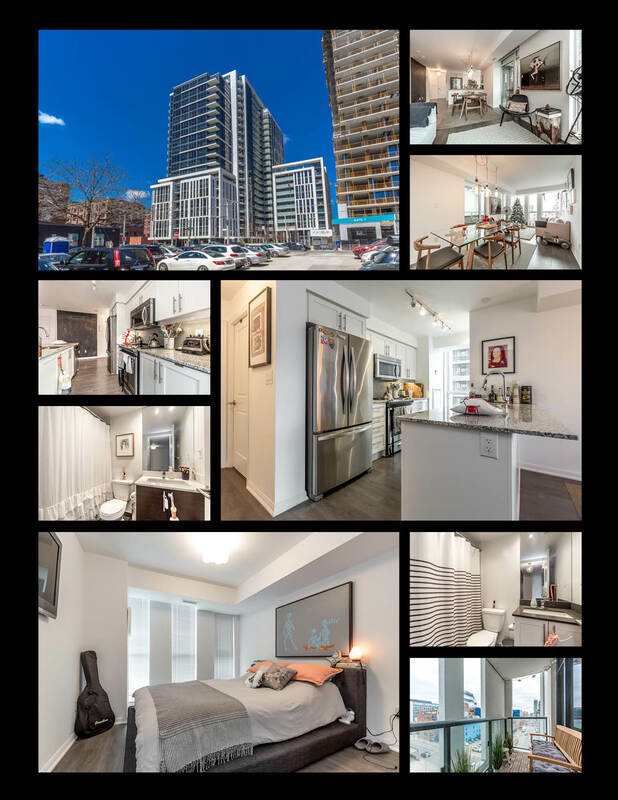 400 Adelaide Street has tons of amenities. 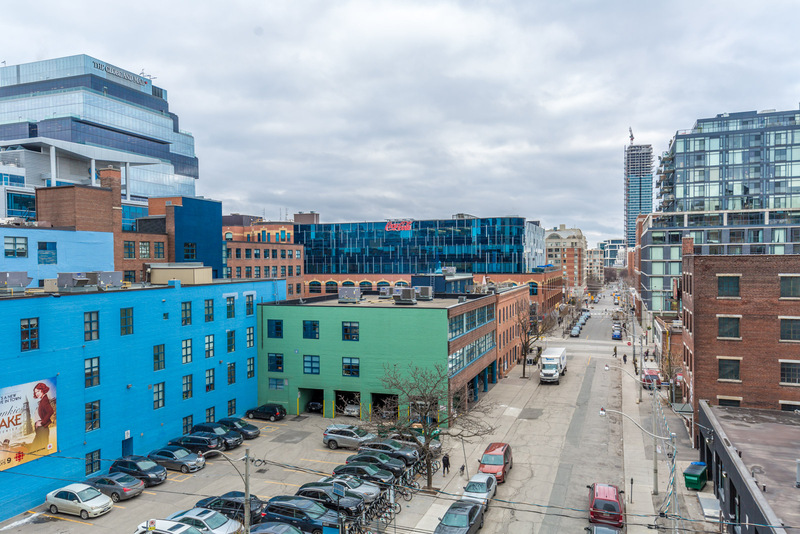 Maybe the most appealing feature of 400 Adelaide Street is its location: the famous Distillery District. The entire area is devoted to the arts, culture, and entertainment. 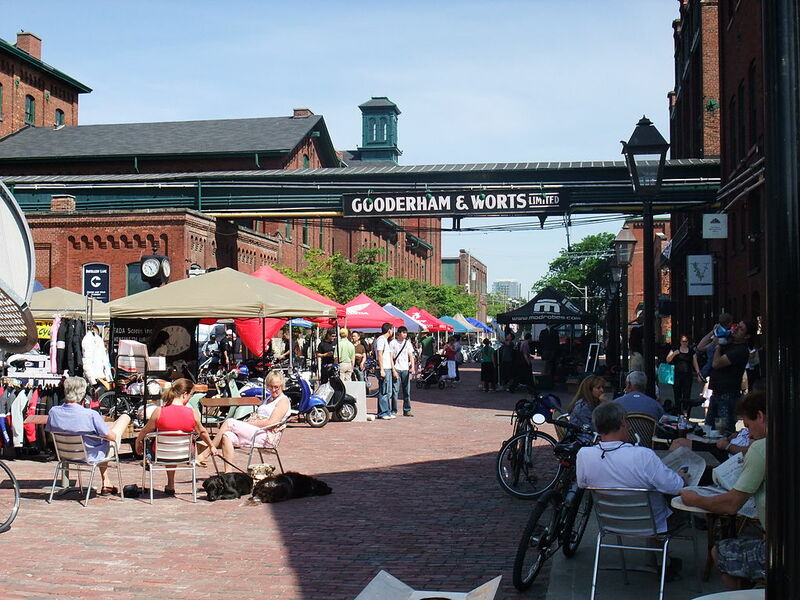 The Distillery District has over 80 unique shops and boutiques, selling everything from handmade Italian suits to custom furniture. It’s also home to countless studios, galleries and theatres. Another highlight is food. Multicultural dining experiences include French, Italian, Japanese, and Western cuisine. Finally, The Distillery District is famous for its entertainment, putting on plays like A Christmas Carol and concerts such as the Vocal Arts Festival. 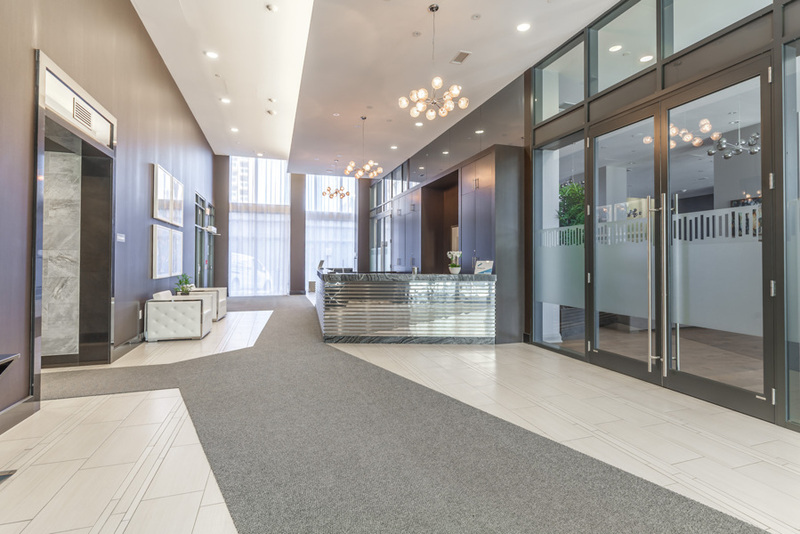 Living at 400 Adelaide Street East means the best of Toronto is nearby. From modern nightlife and entertainment to the rich history, shopping, culture, and arts of the Distillery District, residents can enjoy the best of both Torontos—old and new.